More than 108 area spent part of their school vacations as Buddhist novices after being ordained to prepare youths for the 2015 ASEAN Economic Community. 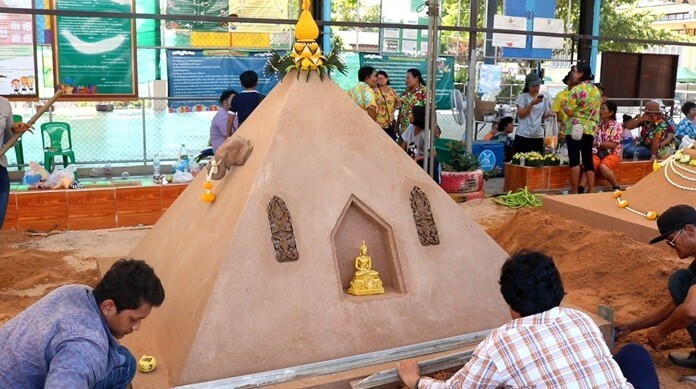 Deputy Monks Committee chief Ratchasittiwimol and Abbot Vichit Siripunno and 8 monks Phra Dhammakaya Temple ordained the 108 high school students at Pattaya School No. 7 April 3. Banglamung District Chief Sakchai Taengho and Pattaya Deputy Mayor Verawat Khakhay presented monks robes to 22 of the most-outstanding students. “Dhmmakaya naga” (people about to be ordained as a Buddhist monk) bow to pay respect to their families. 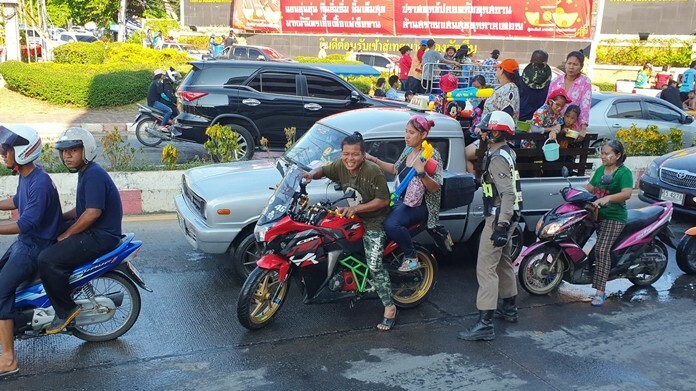 The nationwide March 26-April 24 ordination was called as a “welcome” to the AEC and, in Chonburi, was seen as an opportunity to bless the eastern region with good luck. Before the ceremony, trainees were educated on the foundations of happiness within students, families and communities; and how to repay the kindness of a mother. Plus they youths were educated on discipline, good, bad, karma, avoiding drugs and to promote constructive thinking amongst youths. Students receive robes from their proud parents and guardians. 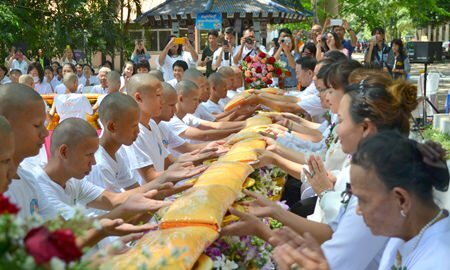 After the training, the parents of the youths presented saffron robes to the “dhmmakaya naga” (the person about to be ordained as a Buddhist monk) followed by a naga parade around Pattaya to preserve Buddhism and make merit. Students participating in the ceremony march in to receive monk robes from guardians and parents.